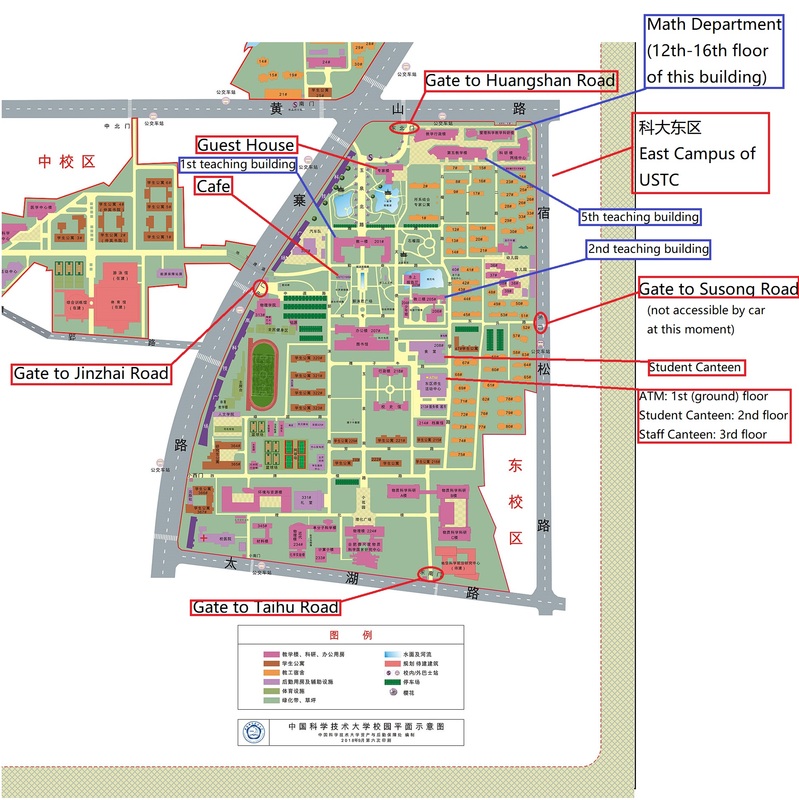 2, If you get lost somewhere in Hefei, please get a taxi and show this (take me to the guest house of the east campus of USTC) to the driver. 3, Eduroam works almost everywhere in the campus, it seems that google also works. But for some other website, or if you stay outside the campus, you still possibly need a VPN. 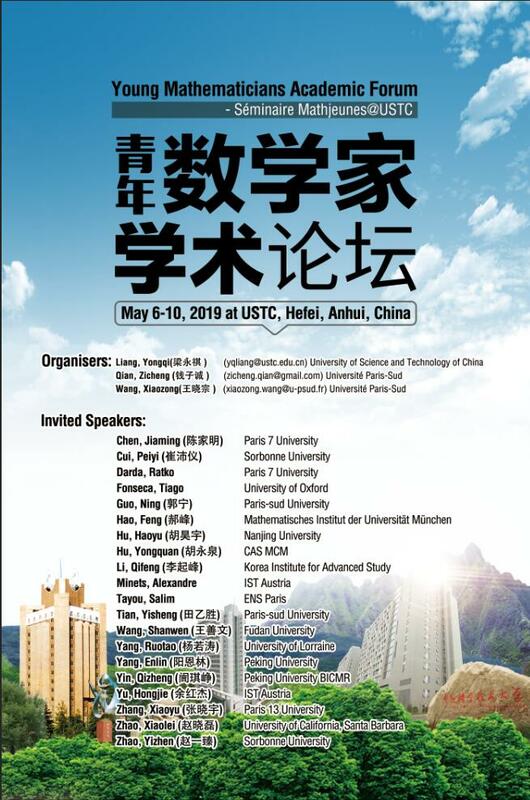 4, All speakers (and organisers) will be lodged in the guest house of the east campus of USTC, other participants will also be lodged in the guesthouse or hotels around the campus. Lunchs and dinners will be arranged either in the second floor of the guest house or in the staff canteen in the campus. A conference banquet will probably take place on Tuesday evening, we will reserve places for all invited speakers, even it seems a bit difficult, we will try our best to include all participants.